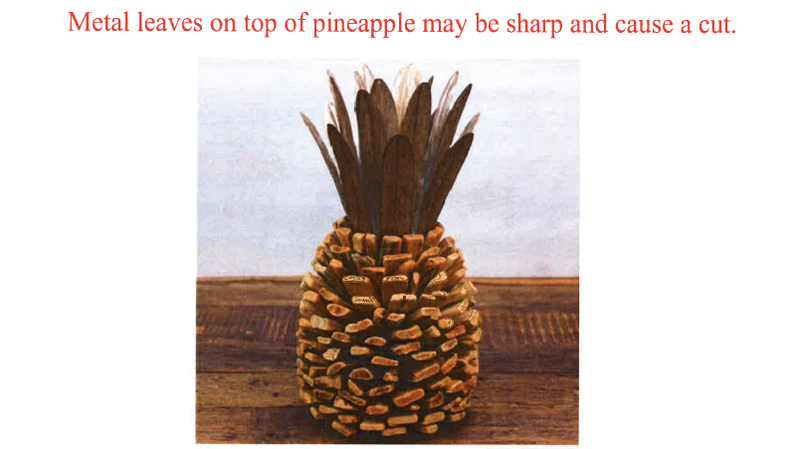 Did you buy a decorative pineapple made of driftwood and galvanized metal at Cracker Barrel between June 6 and August 4? If so, you have brought danger into your home. Danger!!! You can return your pineapple for a full refund. Or perhaps you’d like to swap it for an alternative pineapple decoration?